When my daughter was aged about 8, she used to love playing on the beach and making pictures in the sand, during our summer holidays. She never got bored - we did! 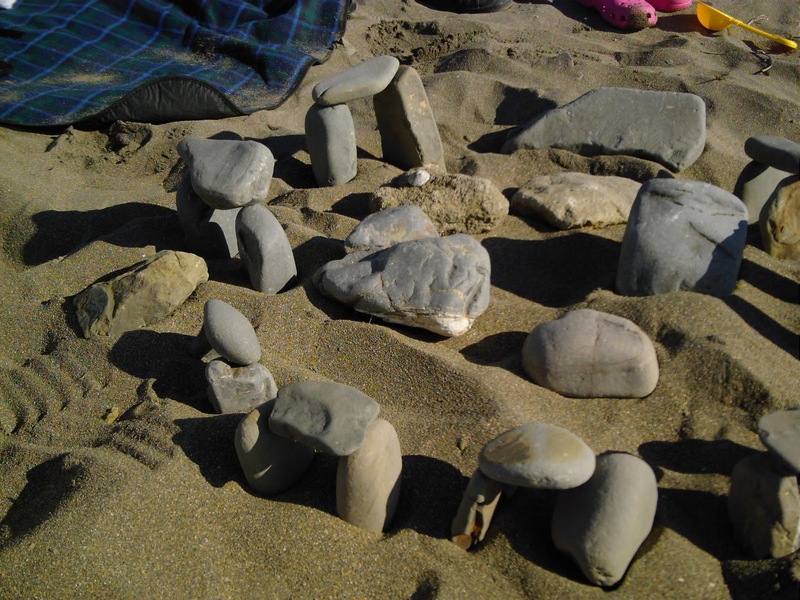 One day, she had spent absolutely ages on one of her 'works', when we finally were allowed to see her artistic creation, she proudly showed off a circle of stones. "dunno, it was just in my head." It worried us because we thought it showed an amazing likeness to Stonehenge. I have never checked to see if its an actual close resemblance because I'm too much of a wimp. Come On!!!!!!! It would be too spooky, she had never been there and they weren't studying it at school - I checked.